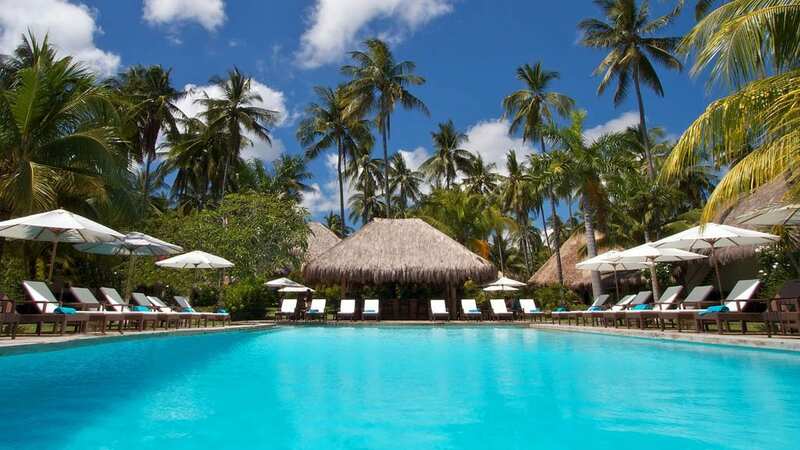 Atmosphere Resort & Spa is located in a beautiful tropical garden (formerly a coconut plantation) directly on the beach just south of Dauin, near Dumaguete, Negros. 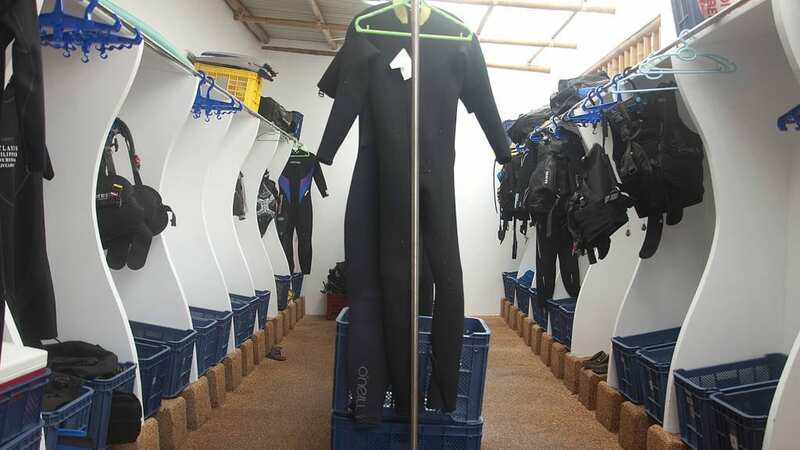 The Atmosphere Dive Centre, a PADI 5 Star Training Centre, offers training and daily dive excursions. 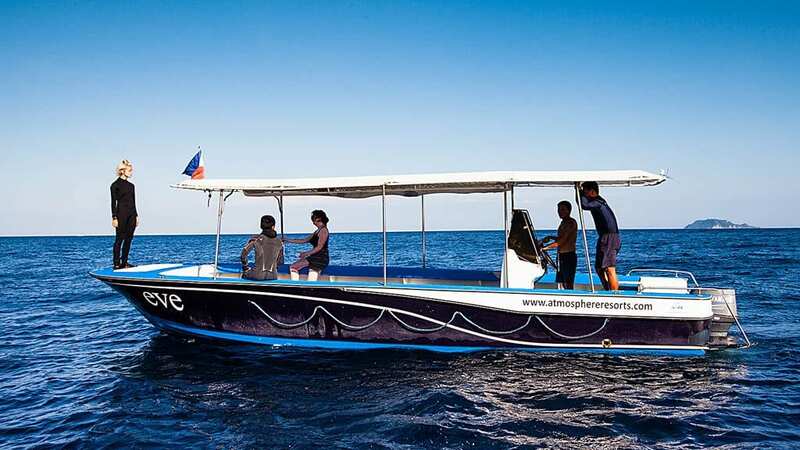 Its larger banka style boat is perfect for trips to neighbouring islands Apo and Siquijor, whilst the resort’s long covered speedboat that will take divers to any dive site along the Dauin coastline. Dive groups on the boats are small, and divers may dive the house reef at any time. Atmosphere Resort & Spa has a large pool with a pool bar, which sells a variety of drinks, cocktails and snacks. With its sea views and plenty of deck chairs, the pool area is also the meeting place for divers. 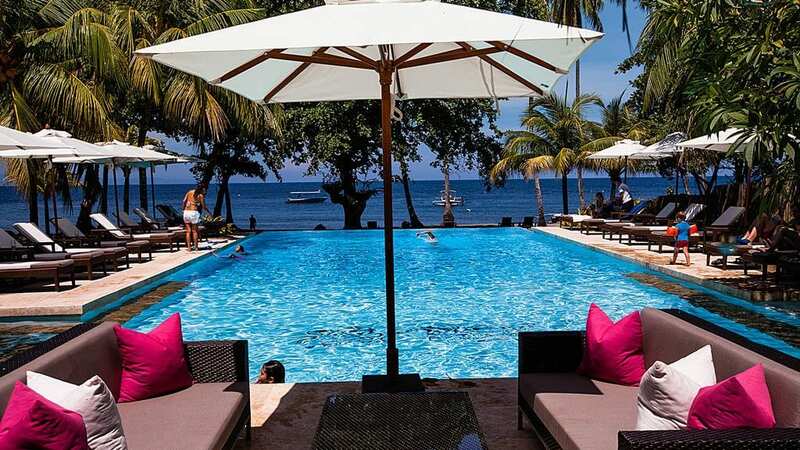 The second pool, situated by the Coffee Shop, has three inter-joining pools with different depths and is surrounded by cushioned sun lounges and sofas and views over the ocean. The Blue Restaurant is located directly on the beachfront and offers guests a magnificent view of the sea. The chef has previously worked in major hotels and offers patrons a high standard of international and Asian cuisine. Beach barbecues and Filipino fiesta evenings are held regularly. 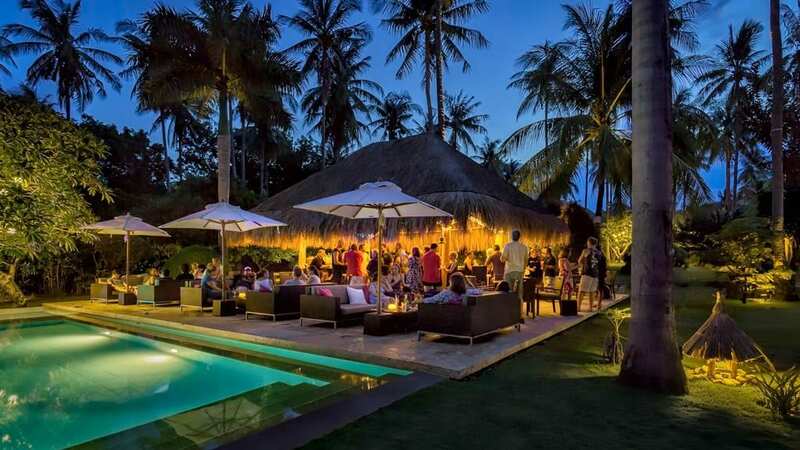 Private romantic dinners can be arranged in the beach tree house, on the guest’s own terrace or on the beach. 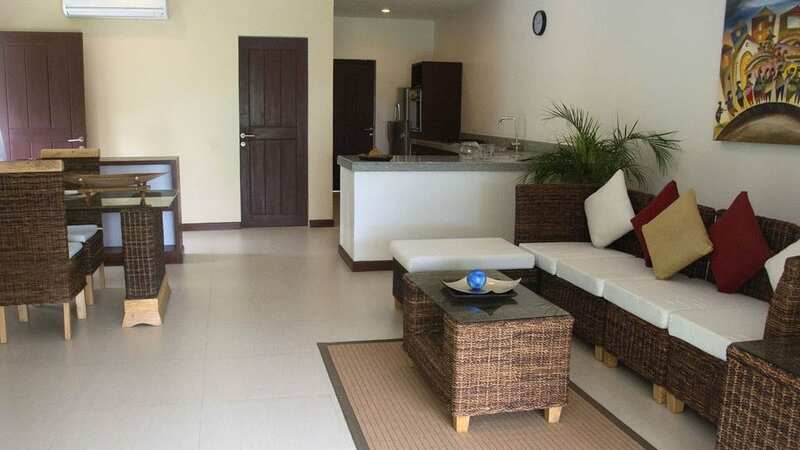 The resort has 30 comfortable rooms: 14 Deluxe Suites, 8 Garden Apartments, 4 Family Rooms and 4 Penthouses. 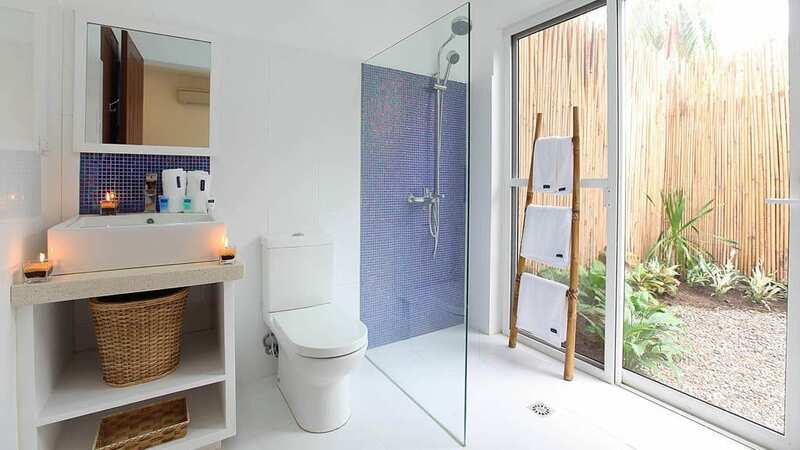 All rooms have individually adjustable air conditioning, a flat-screen TV, DVD player, minibar, complimentary wireless internet, coffee & tea making facilities, solar heated water, bathrobes and a private bathroom with modern appliances. Each room has its own terrace or balcony, some offering a private garden. You can choose between a large king size bed or two single beds. You can also add an extra bed to all room types, so the suites and apartments can accommodate max. 3 guests and in the family rooms and the penthouse max. 5. The Atmosphere Resort has a signature Spa with natural local and international treatment lines. They also offer regular yoga classes and have constructed a yoga platform in the trees right at the beach front. Several fitness programs are offered as well with a personal trainer who is available daily to guests to book private lessons. A small souvenir shop is on site and land tours can be booked at reception. Atmosphere Resort & Spa is managed by English owners. 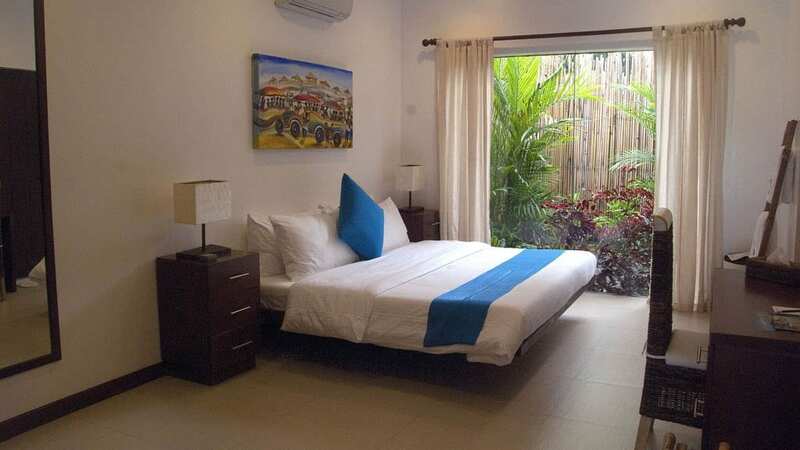 It has reliable mobile phone reception and offers complimentary WiFi. 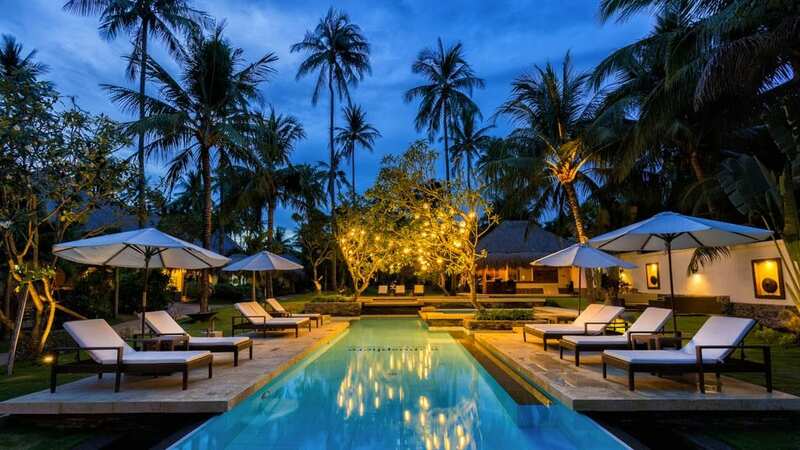 This resort's prices are in Philippine Peso. The AUD prices shown are based on the current exchange rate. The price paid in AUD will be based on the actual exchange rate at the time any payments are made. 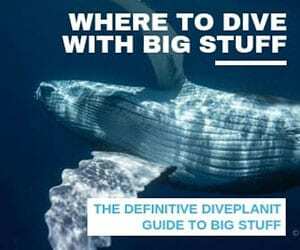 INCLUDED: Accommodation as specified, return airport transfers from/to Dumaguete, 10 dives, tanks, weights, boat, dive guide, air fills, FREE Nitrox fills, all Sanctuary fees, complimentary check-out dive, complimentary snorkelling on house reef. Half Board Meal Package (breakfast & dinner) PHP 2750pp/day. Apo Island surcharge PHP 1,000. Standard Period - 01 December 2018 to 30 November 2019. Peak Period - 20 Dec to 06 Jan, 02 to 10 Feb, 17 to 22 Apr 2019. 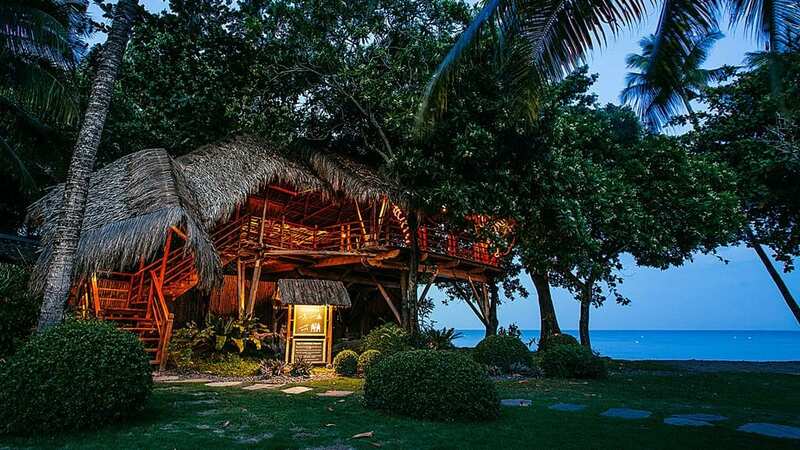 Atmosphere Resort & Spa is located directly on the beach just south of Dauin, near Dumaguete, Negros. The transfer from Cebu airport starts with a trip to the southern tip of Cebu which takes approx. 4-5 hours by minibus, followed by a short ferry to Negros (about 30 min.) and a further transfer (approx. 45 min.) to the hotel by car. Charges apply for the Cebu transfers. Alternately, there are Express ferries from Cebu to Dumaguete. The direct services are currently not operating and you would need to transfer via Tagbilaran which could also take the best part of a day. Transfers to the resort are available from Dumaguete domestic airport and Cebu International Airport. The Atmosphere Resort Dive CentrePADI 5 Star Training Centre offers daily dive excursions, dive courses from beginner up to instructor level and specialty courses. 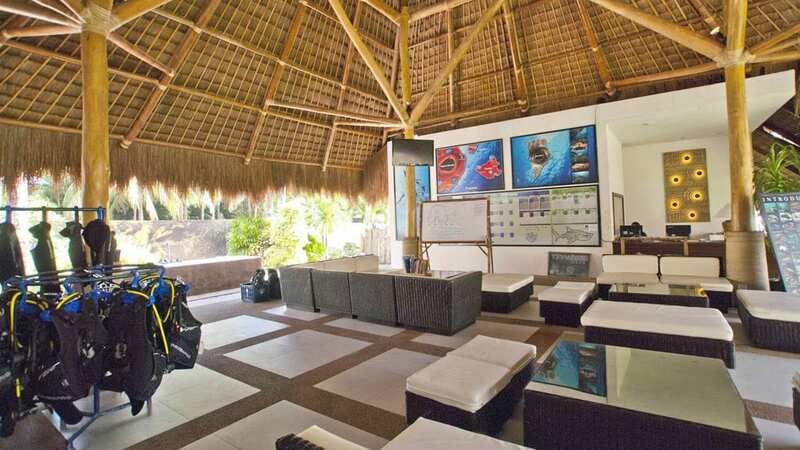 Diving guests can enjoy private dive equipment storage spaces, complimentary Nitrox, a camera/video room with private workspace for each diver, a retail boutique, a classroom with flat screen TV, full equipment rental and a spacious briefing lobby. 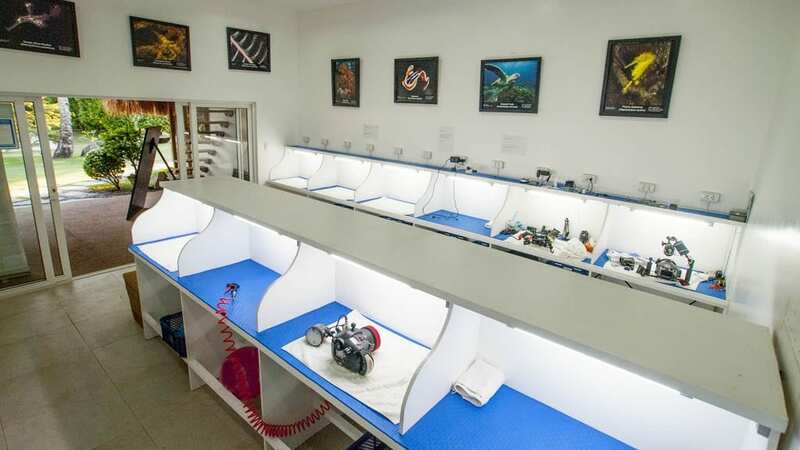 An experienced team of PADI dive masters and instructors run the dive shop overseen by the dive centre manager. Divers are divided into small groups, usually a maximum of 4 divers with their own guide. 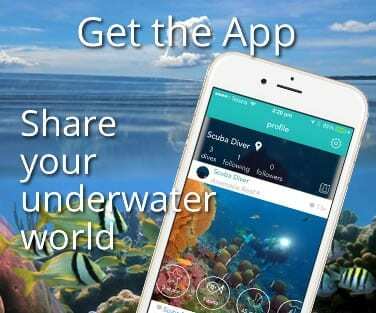 2 to 3 boat dives are offered each day, night dives are available as well. On request, experienced divers are allowed to dive with their buddy without a guide at the house reef if they have all necessary safety equipment. Each dive is preceded by excellent and detailed briefings. The dive shop has 12L aluminum tanks with DIN and INT valves, though 15L tanks are available too, and Nitrox is available free of charge for Nitrox certified divers. Dives are conducted on banka style outrigger boats. ‘Victoria’ is a 26m (88Ft) long boat for max. 20 divers and is perfect for trips to neighbouring islands Apo and Siquijor. ‘Eve’, the resort’s speedboat, is a fast 9m (30Ft) long covered speed boat that will take divers to any dive site along the Dauin coastline within 15 minutes. Day trips take only 20-25 minutes and 2 dives are offered and divers are back at the resort for lunch. There are around 30 dive sites on the Dauin coast, all 2-15 minutes from the resort’s dive shop. Most of the dive sites are in Marine Protected Areas, which has made a big difference to the muck diving. Highlights are the dive sites around Apo Island with intact coral formations and varied diving in shallow coral gardens and beautifully decorated walls. Interesting underwater landscapes with sea fans, soft corals and feather stars offer a home for many colourful nudibranchs, moray eels, frogfish, seahorses, clownfish and sea snakes. About 450 different species of hard and soft coral have been found here. Atmosphere travels to Apo almost daily even if there are only 2 divers on-board. The trip takes only 20-25 minutes and 3 dives are offered. In addition to Apo Island, the protected dive site of Masaplod offers an abundance of fish life. The dive sites are accessible all year round, with mostly good to very good visibility, and generally low to medium currents. The water temperature is warm and tropical at 27-29°C (81-84°F), a 3 mm wetsuit should be sufficient. 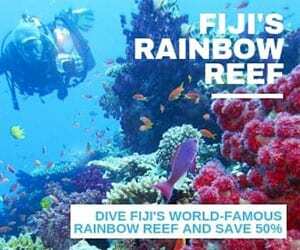 A small house reef with hard corals and macro diving is located right in front of the resort. Here you can find resident blue octopus, turtle-headed sea snakes, orangutan crabs, flamboyant cuttlefish, school of barracudas, frogfish, leaf scorpionfish, school of batfish and the only pygmy seahorses on the Dauin coast.